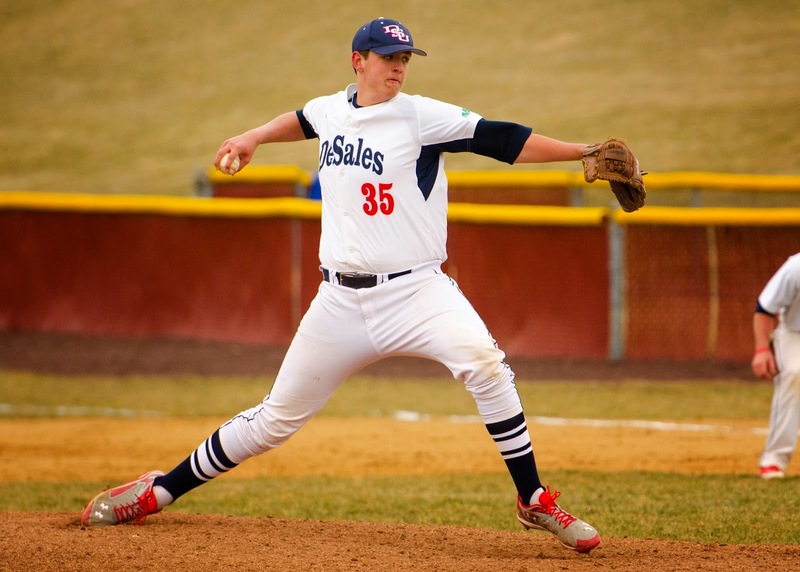 NEWARK, N.Y. – The Newark Pilots have added some bulk to the back-end of their pitching staff with the addition of DeSales University's Cameron Hoos for the 2015 Perfect Game Collegiate Baseball League (PGCBL) season. Hoos will become the second-ever Pilot listed at 6-foot-7, joining 2012 relief pitcher Chris Rogers from Oklahoma Baptist University as the tallest players in team history. The sophomore also tips the scales at 225 pounds. Last season, the Princeton, N.J., native led all DeSales hurlers with a 1.45 ERA in a team-high 17 appearances, all out of the bullpen. His eight saves were the most among all pitchers in the Middle Atlantic Conferences. Overall, Hoos finished his rookie season with 17 strikeouts and the opposition batted just .197 off him. He did not surrender an extra-base hit in 18.2 innings of work. As a result, the right-hander was named to the All-Freedom Conference First Team and the American Baseball Coaches Association (ABCA)/Rawlings Mid-Atlantic Region Second Team. Entering his sophomore campaign, Hoos was named a Division III Player to Watch by Collegiate Baseball Newspaper. In his senior season at Montgomery High School in Skillman, N.J., Hoos was a part of a record-setting pitching staff. The Cougars set a single-season school record with a team ERA of 1.64, the lowest in Somerset County in 2013 according to Montgomery head coach Pete Mueller. Although he missed an early portion of his senior year due injury, Hoos did not allow an earned run, going 1-0 with three saves and nine strikeouts in 13.2 innings pitched. Montgomery won the 2013 Skyland Conference-Delaware Division championship. The Newark Pilots return to Colburn Park for their 2015 home opener on Friday, June 5 against Mohawk Valley. For more information and to purchase season tickets, contact Pilots president Leslie Ohmann at 315-576-6710 or visit www.newarkpilots.com. Fans can like the Pilots on Facebook at www.facebook.com/newarkpilots, and follow them on Instagram and Twitter @NewarkPilots for the latest information. 0 Comments to "Newark Inks Standout Reliever From DeSales University"